Pepperstone's customer service is great. They provide fast and relevant answers. The account opening is user-friendly, with no minimum deposit. 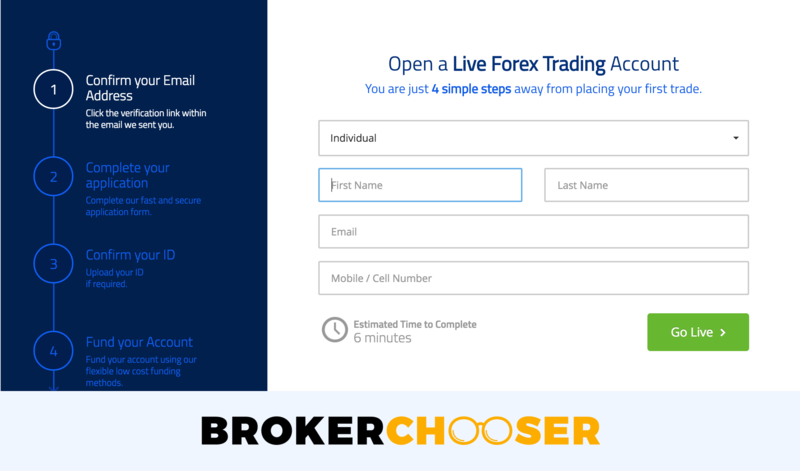 Furthermore, it provides nice, easy to use trading platforms. Pepperstone has a limited product portfolio as it offers only forex, some CFDs, and crypto. It has a limited research as there are no fundamental data or recommendations. Lastly, the education tools are limited. We compare Pepperstone fees with its peers, Oanda and FXCM. Pepperstone trading fees are low. It is super hard to compare trading fees for CFD brokers. 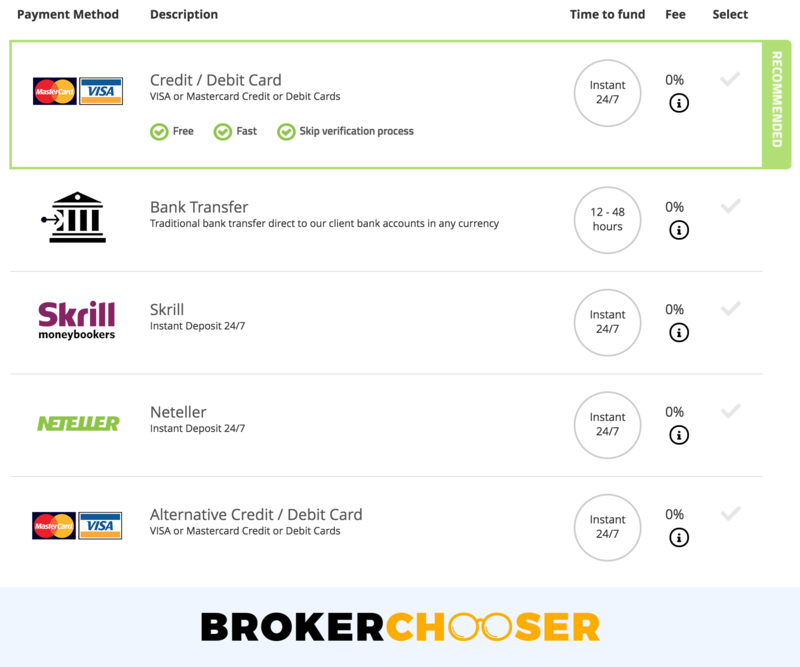 What we do at Brokerchooser? 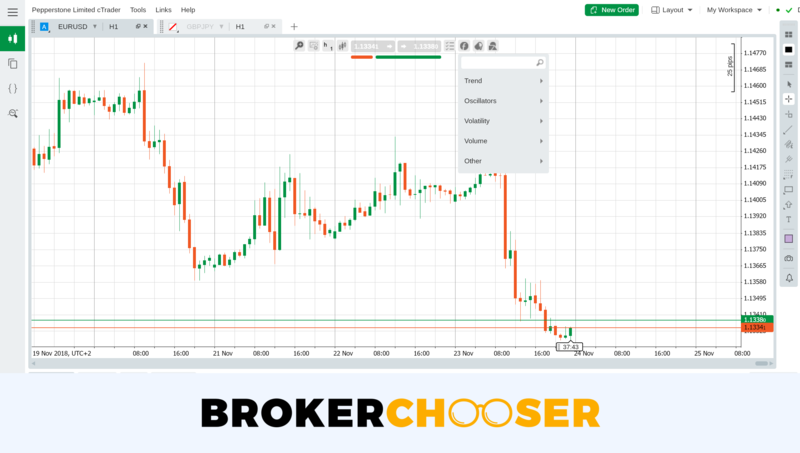 Instead of quoting long fee tables, we compare brokers by calculating all fees of a typical trade for two currency pairs. Making this calculation, it is clear that Pepperstone offers low trading fees, almost the same as Oanda. Pepperstone's financing rates are average. EURUSD is quite high almost same as Oanda, while EURGBP is the lowest financing rate. Pepperstone non-trading fees are average. There is no inactivity fee, but the withdrawal fee is quite high, especially the bank withdrawals, $20. If you are from Australia and have an AUD account, the bank withdrawals are free of charge. There is also a currency conversion fee to consider. Currency conversion applies if you trade with an asset denominated in a different currency than your account. 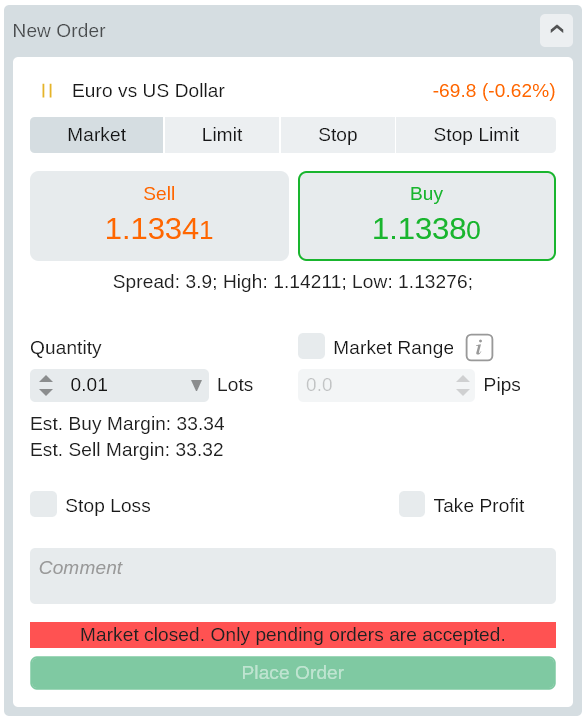 For example, if you have an euro account and want to trade with US stocks, you have to calculate with the 0.3% currency fee. Pepperstone accepts customers from all around the world. There a few exceptions, most notables are US, Canada, New Zealand, and Japan. *There is an administration fee for positions held for more than two days. You can check them on Pepperstone's website. If you prefer trading at high volume, the Active Trader program can be suitable for you. You will get discounts. The account opening is easy and fully digital. The online application takes roughly 10-15 minutes. The account approval can be slow, it took four business days for us. Upload a copy of your passport/ID, and a utility bill or some other proof of address. If a problem occurs, you can get help from the email and the live chat. They help you in many ways, e.g. you can send them copies of your ID/Passport, and they will upload it for you. There are nine base currencies at Oanda: AUD, USD, JPY, GBP, EUR, CAD, CHF, NZD, SGD, HKD. This is a great offer and more than the average. E.g. Oanda offers eight, while FXCM offers seven base currencies. Pepperstone deposit is free for bank transfer and electronic wallets. However, credit/debit card deposit fees are high, 3%. Except for the Australian dollar, which is 1.8%. You will find a lot of deposit options at Pepperstone. It can differ country by country. The bank transfer can take from 2 to 3 business days. If you use the credit/debit cards or the electronic wallets, the money is credited to your account immediately. Pepperstone withdrawal is free for credit/debit cards, but there are fees for electronic wallets and bank transfers. The bank withdrawal is $20 which is quite high. The Skrill has a fix $1 fee, while at PayPal the fee is 3%. 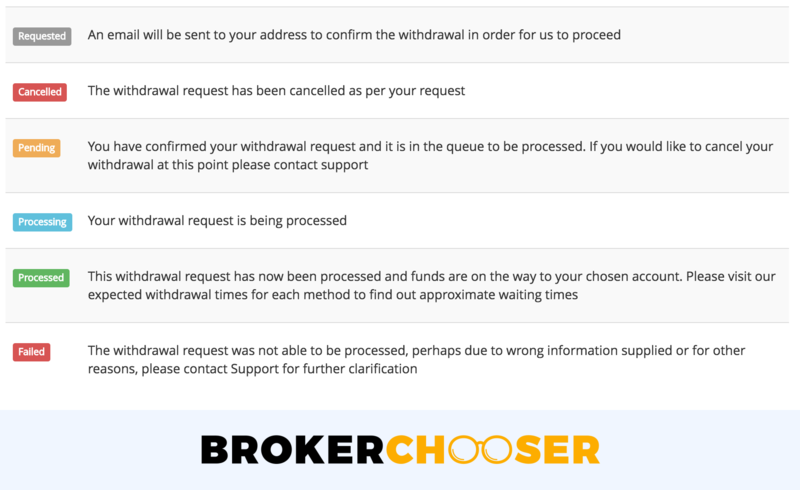 We received the withdrawal confirmation within 24 hours of the request, the funds arrive within 5 business days. Pepperstone does not have an in-house developed trading platform, it uses third-party platforms: cTrader, MetaTrader 4, and MetaTrader 5. You can feel lost which platform to use, but Pepperstone helps with an overview of platforms' features, pros, and cons. 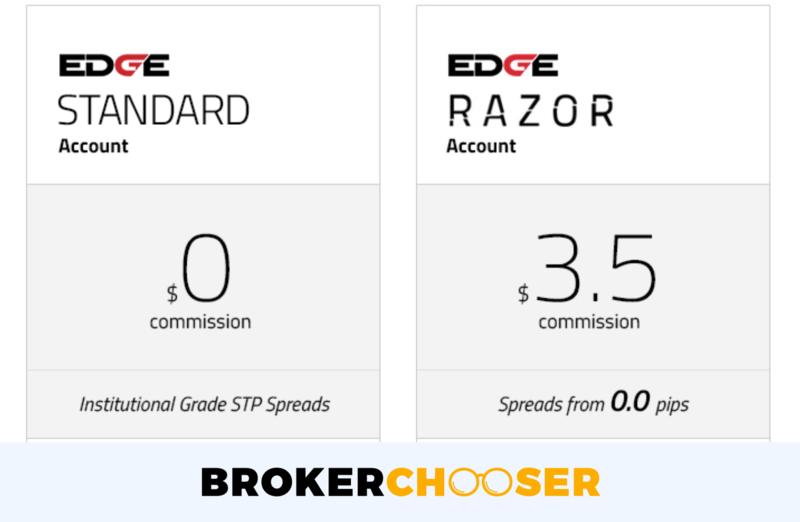 We tested cTrader as we thought it was better for our needs. It is more user-friendly and has a better responsiveness. 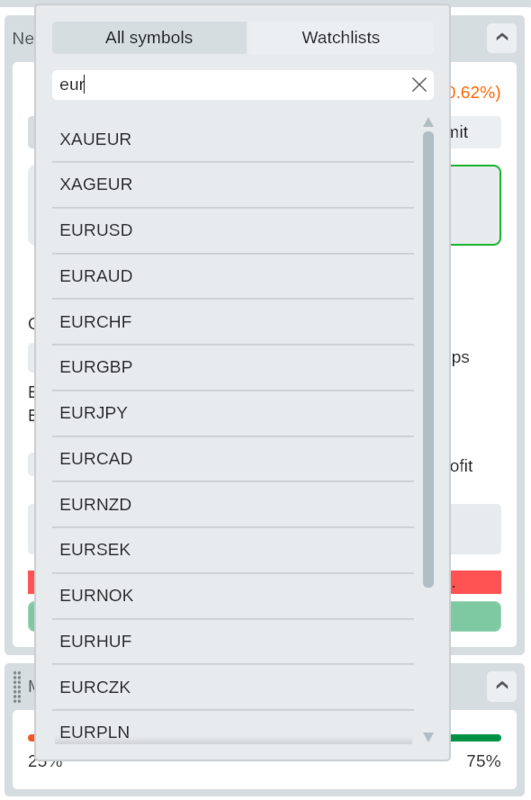 cTrader is available in 23 languages. Pepperstone trading platform is user-friendly and looks nice. You will easily find the features. We also liked the customizability. You can change the panels' size and position easily. The login process is a one-step login. A two-step authentication would be more secure. Pepperstone search function works as you would expect. There is a drop-down list on the left and you can search by typing or searching among the categorized products. It gives relevant results. You can use four order types. But, you will not find very sophisticated ones, like a "one cancels the other". You can set only one order term, the good 'till date. You can set only price alerts and only in the form of a platform pop-up message. Order confirmation notification through SMS or push message would be useful. You can find very detailed performance report. You can see many statistics about your trades, e.g. the largest profit or the number of winning or losing trades. Also, you can see the fees you paid to the broker. 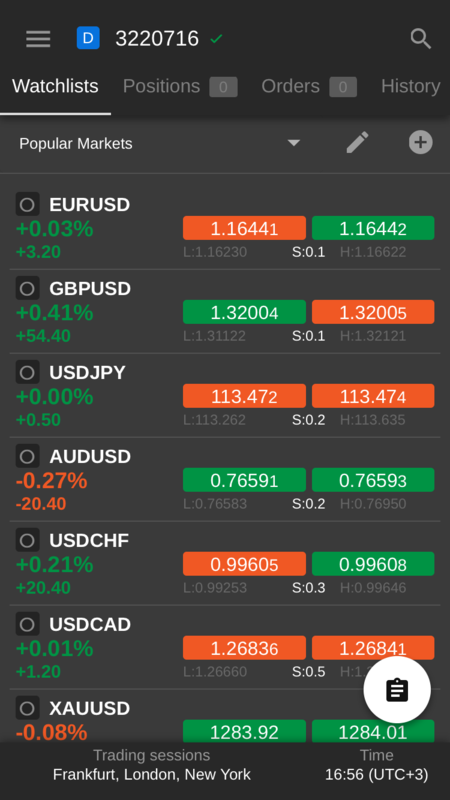 cTrader's mobile platform is user-friendly and well designed. On the flip side, you can't set a two-step login. Pepperstone mobile trading platform is available both on any iOS or Android devices. We tested it on Android. cTrader has the same design, user-friendliness, and functionalities as the web trading platform. 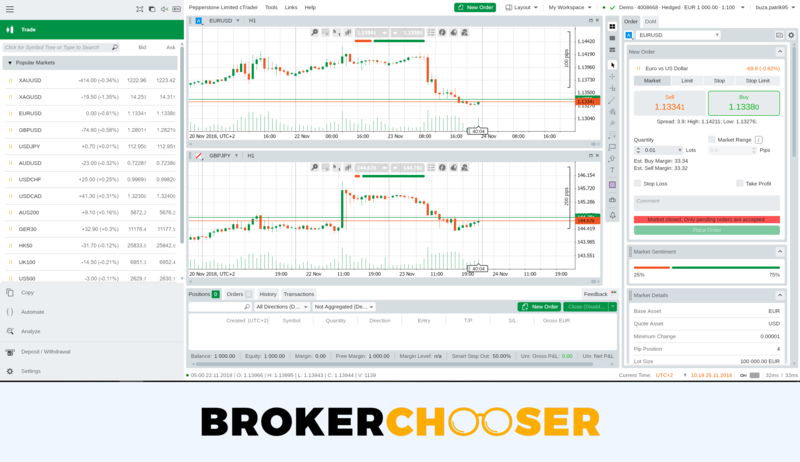 Pepperstone's cTrader platform has a desktop version. It is the same as the web trading platform. Pepperstone is a forex broker with some CFDs. To learn more on CFDs read our CFD trading tips. You cannot change the leverage at Pepperstone. It is the same at FXCM, while at Oanda you can change the levels. We think you should be in control of this. Pepperstone research tools miss the recommendations. There is no fundamental data at Pepperstone, mostly because it concentrates on FX. Pepperstone does a great job in charting. The charts are very responsive, easily editable and you can use more than ~50 technical indicators. You can also save them. You can also use a pattern recognition tool powered by Autochartist, a third-party. Pepperstone offers informative and well-structured news. However, they are not integrated into the trading platforms. 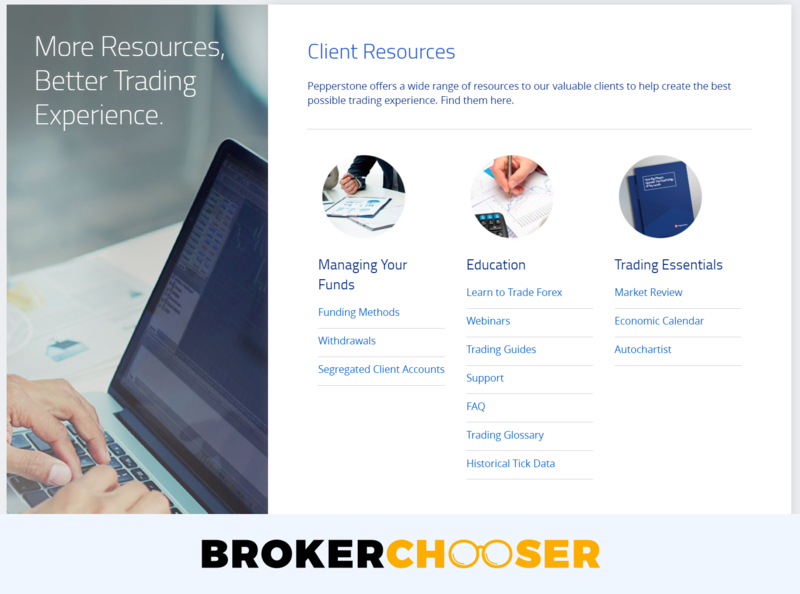 You can find them if you go to the Client resources and then to the Market review page. 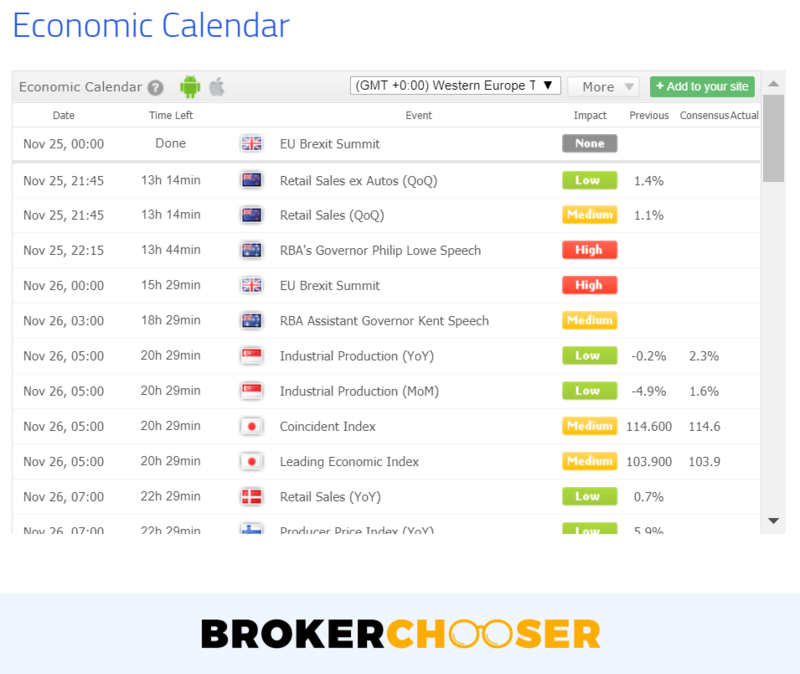 You can also use an economic calendar powered by XM, a competitor forex and CFD broker. 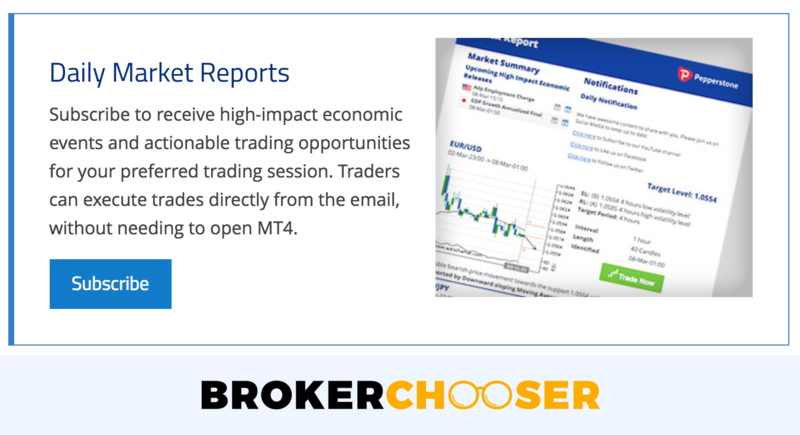 Lastly, you can subscribe to Pepperstone’s daily market reports email. You can specify frequency of the newsletter and target markets. If you prefer API trading, Pepperstone offers its Calgo in C#. Pepperstone customer service is great. You can reach them in many ways and you will get fast and relevant answers. It does not operate on the weekends. Pepperstone customer service is available in more languages, like English, Spanish, French, and Arabic. The support person told us that often other languages may be available, but could not provide a list. Live chat works as you would expect. We did not have to wait for an operator, and we always got relevant answers. After the conversation, you can rate and comment the chat, it is easy and efficient to give feedback. Phone support is also great. An agent was connected within seconds and answered my questions in a professional and kind manner. The customer support team was very fast and relevant to emails as well. They replied within a few hours. Their answers were clear with relevant links attached. We also liked that Pepperstone customer service is available 24 hours a day from Sunday to Friday. Pepperstone has a mid-range education. You can use demo accounts, participate at webinars, and read educational contents. On the other hand, they don't offer educational and trading platform videos. You can use demo accounts for getting familiar with the platforms. We think this is the best way to learn how Pepperstone trading platforms work. In addition, you can participate webinars and read texts from trend lines to fundamental analysis. Pepperstone is regulated by top-tiers regulators, like the FCA in the UK. On the flip side, it doesn't disclose its financial information. Pepperstone is an Australian broker established in 2010 serving clients from all over the globe. Is Pepperstone safe? To be certain, it is best to check two things: how you are protected if something goes south and what the background of the broker is. Pepperstone has two major entities. This is important for you because investor protection amount and the regulator differ from entity to entity. As a recent news in November, 2018, Pepperstone plans to move to Germany because of Brexit. Pepperstone is an Australian private company established in 2010. The longer the track record, the better. Longer track record means the company was able to manage financially tough time periods. A good example is how Pepperstone handled the Swiss Franc crisis in 2015. During the 2015 Swiss National Bank related forex crisis, Pepperstone was able to avoid losses by using foresight, and their high-speed technology. Before the crisis happened, Pepperstone warned against the possible dangers, discouraging clients from taking excessively leveraged positions on the Franc. They accomplished that through enforcing position caps and limiting the leverage on said accounts. For clients who did have an exposure to the news, Pepperstone’s systems liquidated the positions. It allowed them to close any position before they went into negative balances. You may have some troubles if you are looking for more information about the company. Transparently disclosed financial information is quite limited compared to other brokers. It is also not easy to find out who the owners are. Being regulated by the FCA and ASIC are all great signs for Pepperstone's safety.